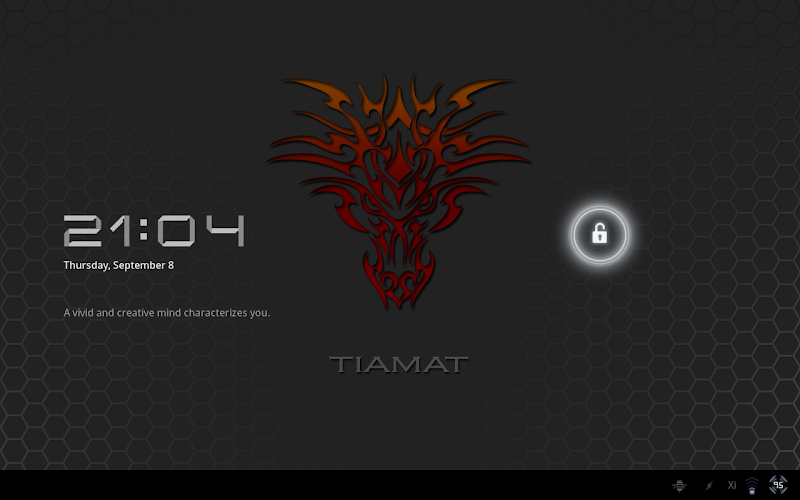 Tiamat Xoom Rom 2.2.2 "Moray"
Tiamat Xoom Rom 2.2.1 "Moray"
Tiamat Xoom Rom 2.2.0 "Moray"
Yet another update for the rom. Quite a few changes this time. As usual, this can be flashed cleanly over 2.2.1. Last edited by solarnz; 10-09-2011 at 03:21 AM. Quick question though, is there any way to go back to the old-style charging (and wi-fi) icons? Nothing wrong with the new ones, but I really liked the double circular style battery icon! I first rooted my device using universal root method by Solarnz,thank you very much for you guys for your support! 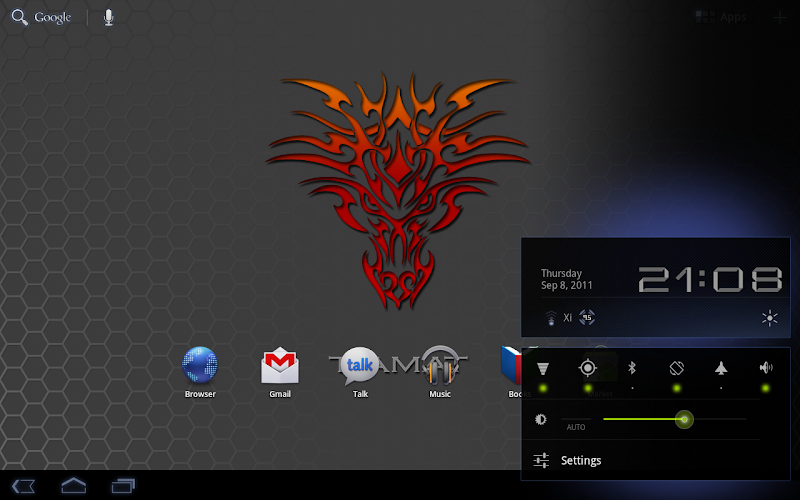 There's an update to the rom, Moray 2.2.1, if your up for it. ok I will try it,bdw my browser won't play flash videos after I have installed this rom, I have updated the flash,any idea? 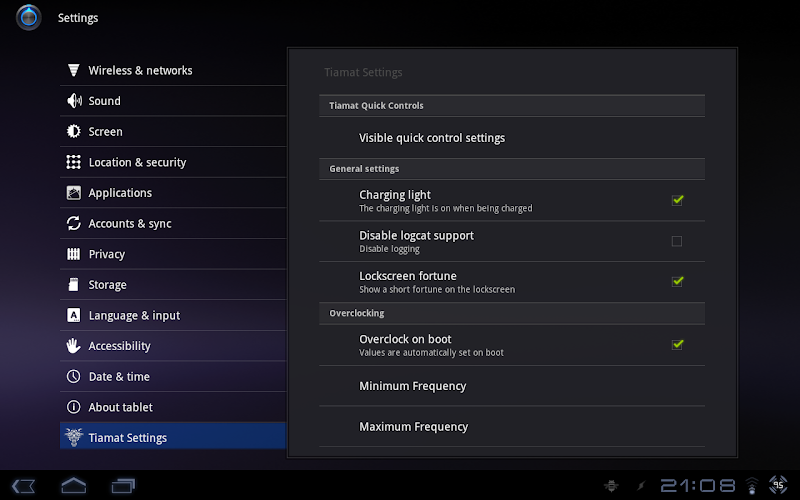 I am running 2.2.1 I was wondering if it is safe to take the OTA update? 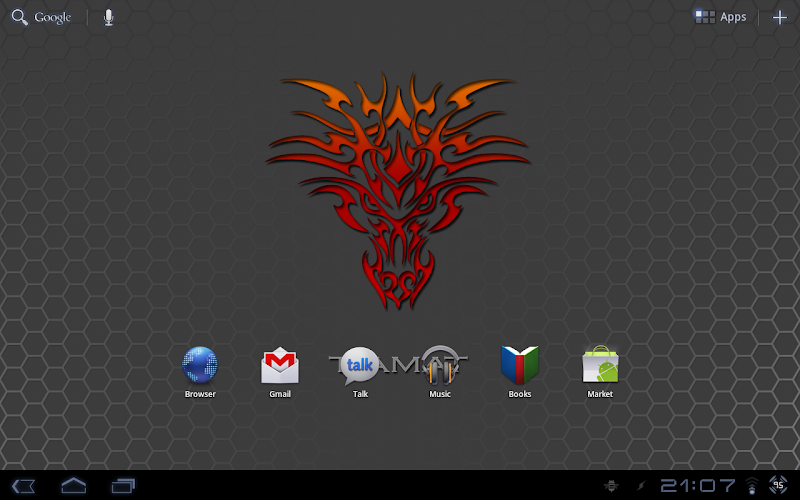 If not is there a chance we could see Honeycomb v. 3.2.2 in one of your roms? If you're rooted, don't ever accept the OTA. You can flash Mod Pack 3 from here to get rid of the nag screen. downloading the new version now! Oh, and thanks for all the hard work and info. very cool so far I am loving it! Last edited by tkazzee; 10-08-2011 at 10:19 PM.